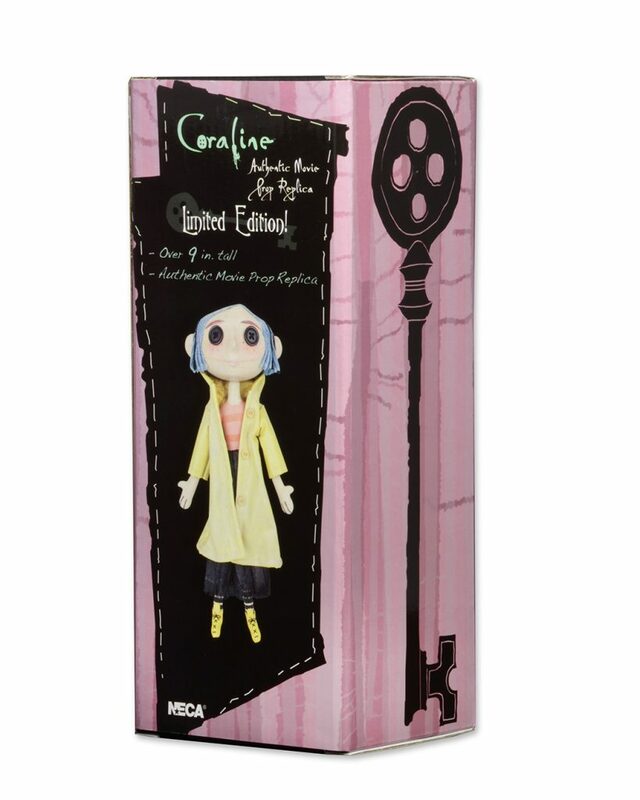 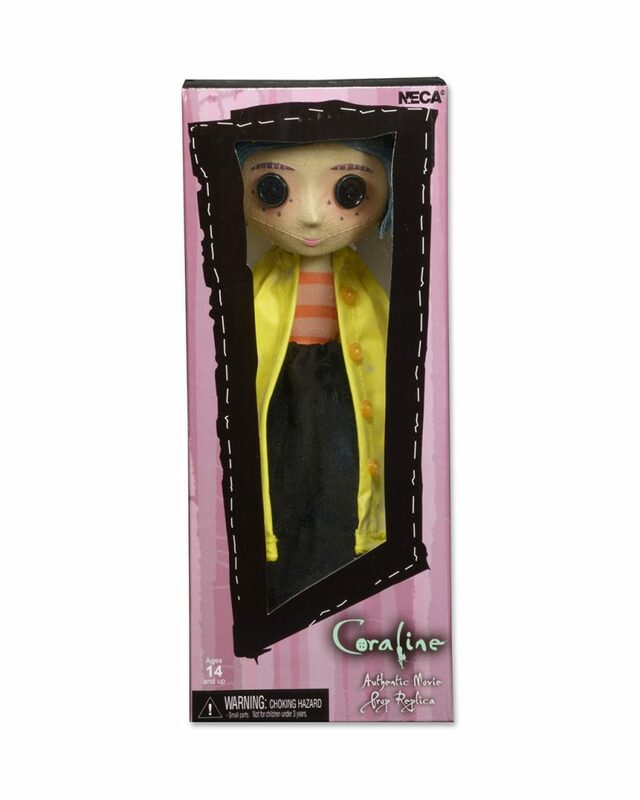 Bring home the weird world of Coraline! 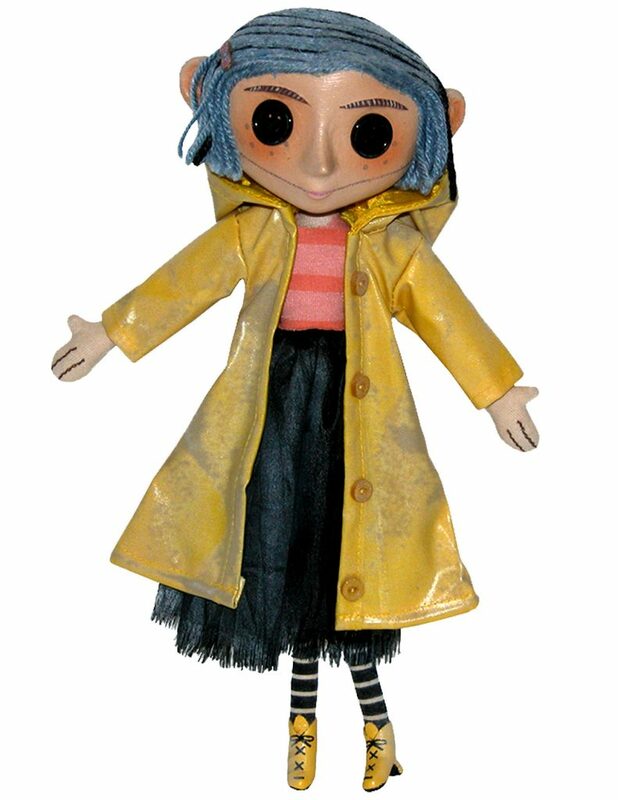 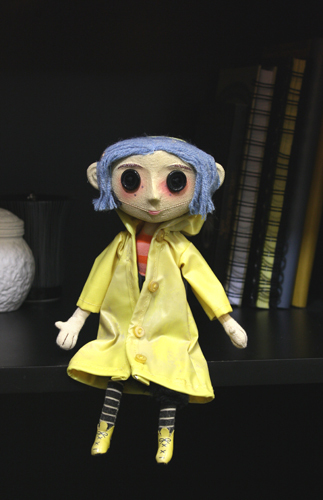 This detailed replica of Coraline’s doll comes from the stop-motion movie adaptation of Neil Gaiman’s fun and spooky book. 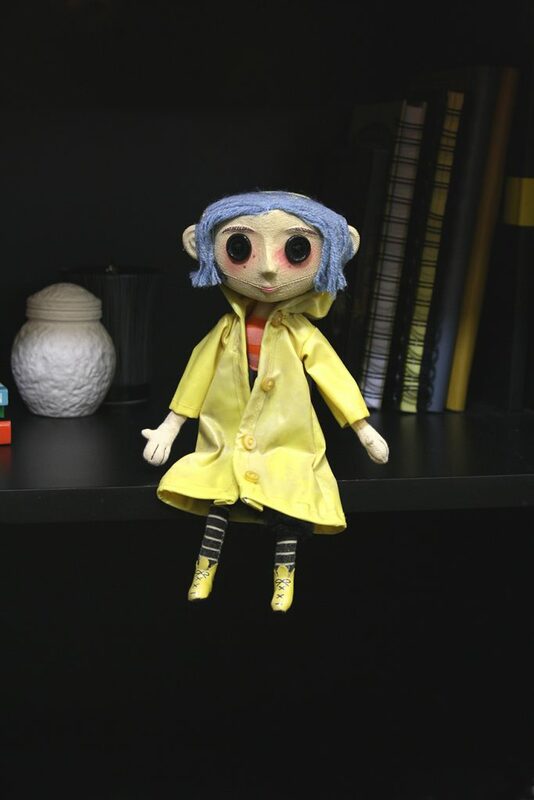 It lovingly reproduces the doll as seen in the film, from the yarn hair and button eyes to the removable yellow raincoat. The doll has a hidden wire armature so you can pose her arms, legs, even her raincoat! Over 9″ tall. 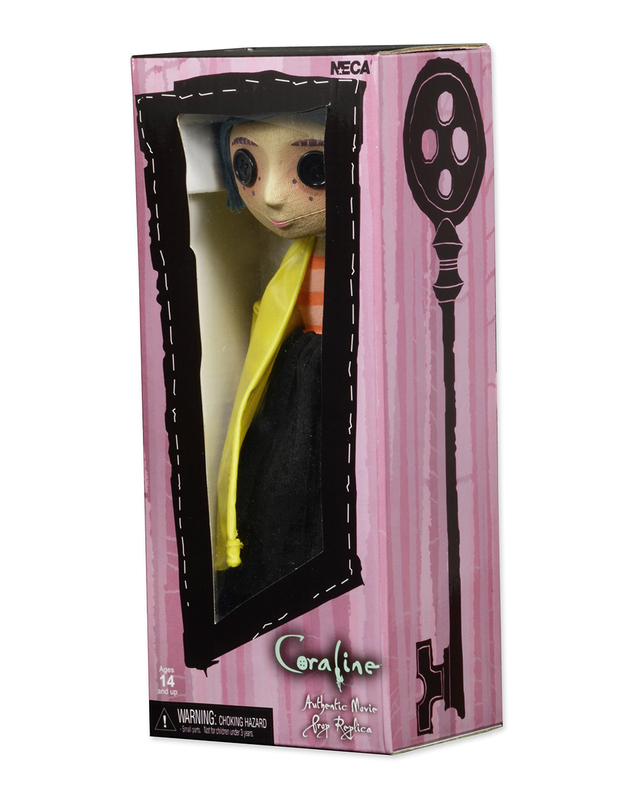 A great collectible for fans of all ages.